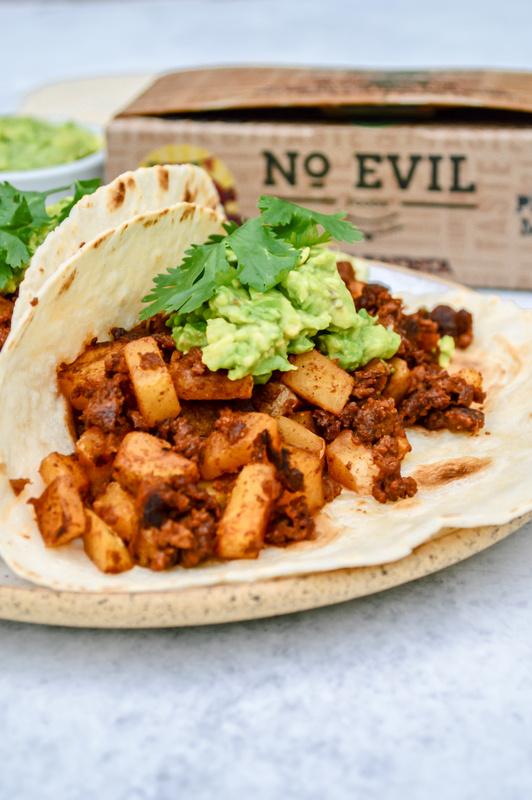 If there’s anything we love more than tacos, it’s burritos. 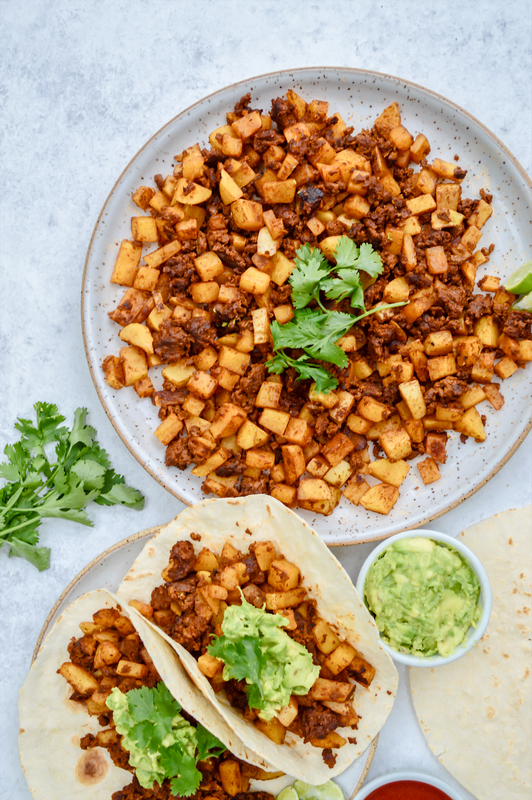 Chorizo & potatoes may seem like an unlikely pairing, but shake that thought right out of your head. 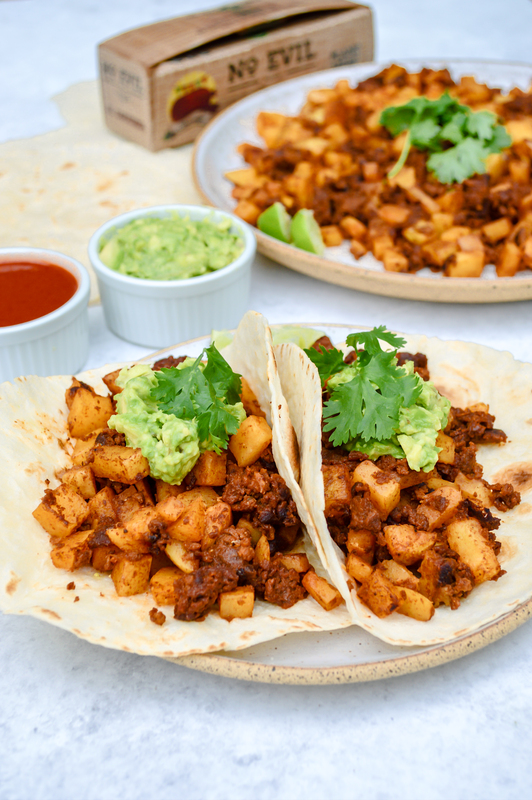 Chori-papas is a classic combo and for good reason. It’s great on its own, but add a healthy dollop of guac, some cilantro and a squeeze of lemon and you’re really in business. This recipe is courtesy of the outstanding Alexa Fueled Naturally. Add to a pot a cover with water. Bring water to boil and cook potatoes for 6 minutes or until completely cooked through without turning to mush. Heat a large skillet over medium and add coconut oil. Once melted, add chorizo, breaking it up into small pieces as you go. Cook 2 minutes without stirring, then stir well and add drained potatoes. Stir to fully incorporate with the chorizo. In a small bowl mash avocado. Add juice of 1 lime, salt & pepper to taste and chopped cilantro. 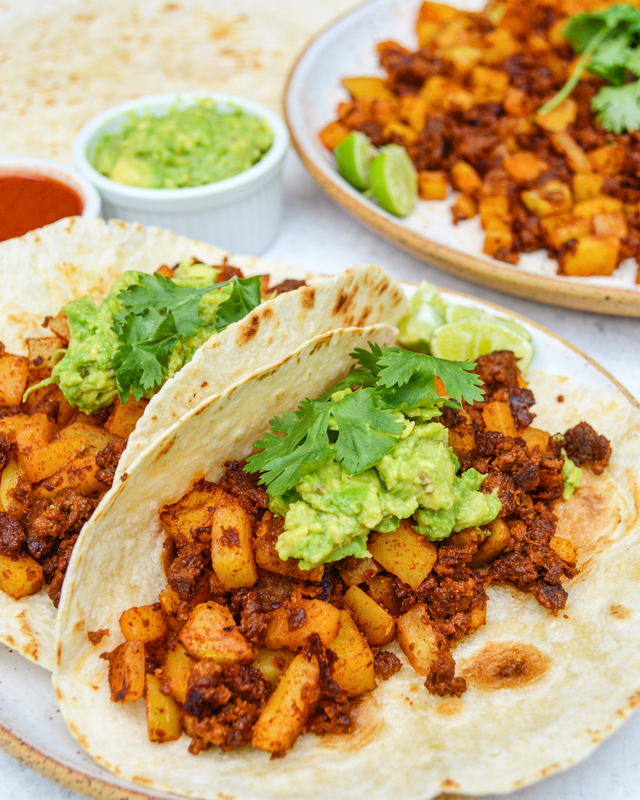 Heat tortillas and assemble by adding a generous amount of chorizo-potato mixture, mashed avocado & a good squeeze of fresh lime.